In 1969, 10 years after Hawai‘i became the 50th U.S. state, dedication ceremonies were held for its first STATE CAPITOL BUILDING. The impressive structure rises out of the center of downtown Honolulu just a stone’s throw from ‘IOLANI PALACE, Hawai‘i’s first seat of government. is representative of the unique history and natural features of the islands. Replicas of the state seal—emblazoned with the motto Ua Mau Ke Ea O Ka ‘Aina I Ka Pono, “The life of the land is perpetuated in righteousness”— are mounted at the mauka (mountainside) and makai (oceanside) entrances of the building. 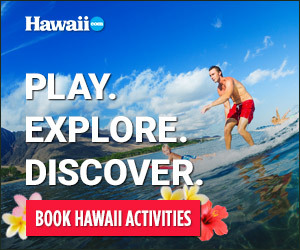 For tours of the capitol building, visit governor.hawaii.gov/hawaii-state-capitol-tours.